The Pinhead life begins to look attractive, even congenial. A little paradox of Internet celebrity is that a YouTube personality can amass millions upon millions of young fans by making it seem as if he’s chatting with each of them one to one. 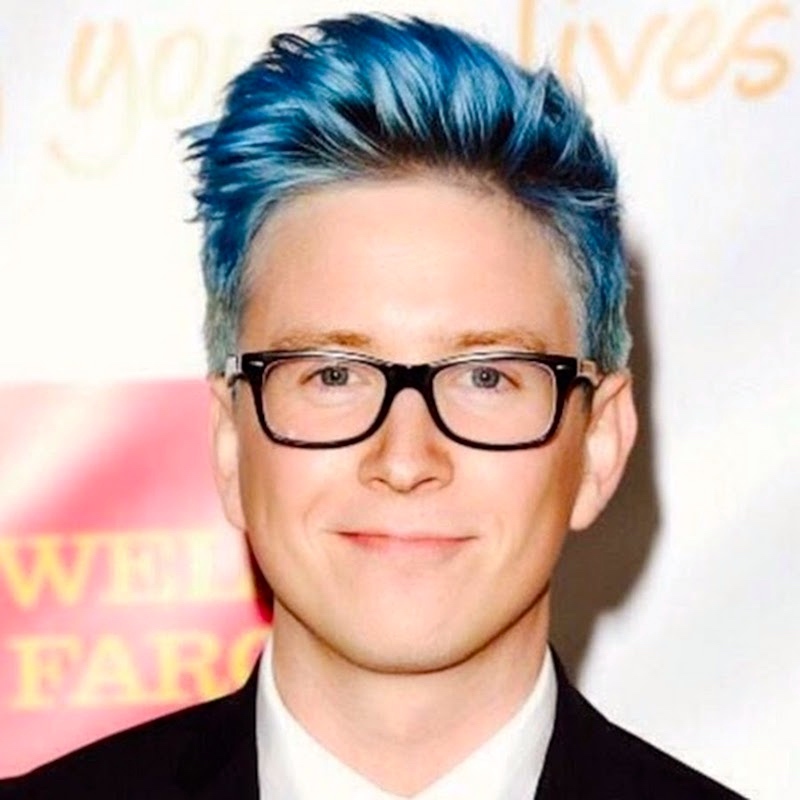 Tyler Oakley, a 26-year-old man who identifies as a “professional fangirl,” is a master of the genre. He has nerd glasses, pinchable cheeks, a quiff he dyes in shades of blue and green and more YouTube subscribers than Shakira. Some of his teenage admirers have told him that he is the very first gay person that they have ever seen. He models slumber party outfits and gushes over boy bands, giving the kids who watch him from their bedrooms a peek into a wider world. Soon, Oakley’s groupies had immortalized his soliloquy in GIF form: “Can’t” upon “can’t,” looping forever. Now they could conjure the GIF whenever they felt so overcome by emotion that they couldn’t even complete a thought. Oakley was not the first to recast the sentence fragment “I can’t even” as a stand-alone expression. He just helped shepherd it out of the insular realm of Tumblr fandom and into the wide-open Internet. Today’s breakfast special at the Peninsula Creamery in Palo Alto was the Hawaiian Omelette, which I was canny enough to recognize as an omelette featuring pineapple (and ham). Just as the avocado is California’s iconic food — see postings here, here, and here — so the pineapple (often together with ham) is Hawaii’s. A missing part of the saga of character actor Lazlo Crannich in Zippy. Earlier postings led up to a discussion of identities and performances, and then Lazlo agonized unhappily about his job portraying Zippy, through a series of strips, until he simply fled the scene and escaped to the Upper Peninsula of Michigan. Seen on Law & Order: Special Victims Unit a few days ago: the episode “Escape” (season 5, episode 11, originally broadcast 1/6/04), featuring Milo Ventimiglia, an actor familiar to me from Gilmore Girls and, especially, Heroes. Serious in #1, with a quirky smile in #2 — both showing the eye pouches that are a facial feature of many people of Italian ancestry. 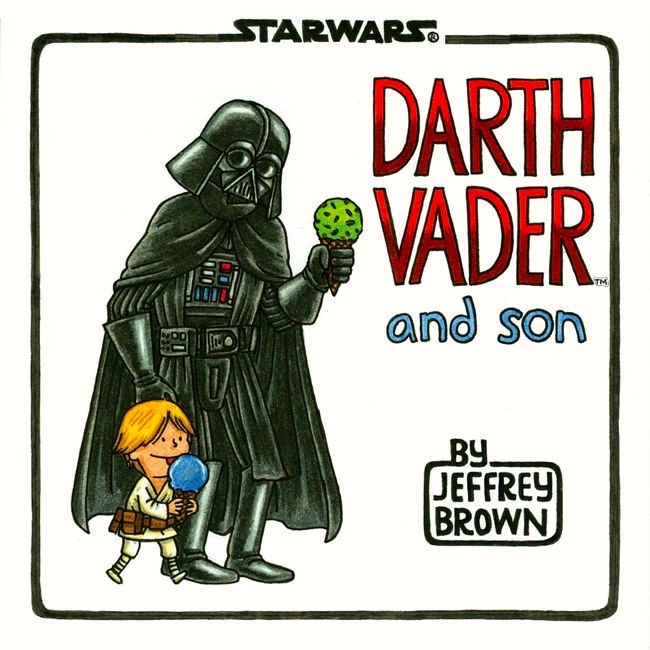 On cartoonist Jeffrey Brown and his charming Darth Vader books. I always have him someplace I can look at him. 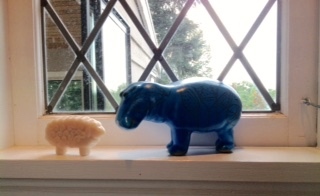 Last week I came home from China with this sheep made out of soap, and they seemed made for each other. As the hosts for the tv coverage point out every whipstitch, this is a fabulous achievement, but it’s marriage equality without exception (in the US), not overall equality, and there are very pressing needs for protections against discrimination in many areas and for support for some groups of lgbt people (especially young people). The fact remains that in a great many places, discrimination in housing, employment, and other areas is entirely legal, and in a fair number of places existing protections are being eliminated, often on religious grounds (references to homosexuality as an abomination are common); a number of religious groups are doubling down on their hostility to homosexuality, which should make any person of charity worry about the state of teenagers. More on this in a calmer time. Meanwhile, I cry with joy at what’s been achieved so far. And cry for my man Jacques, who died a dozen years ago, having hoped for some years that it would some day be possible for us to be actually married. 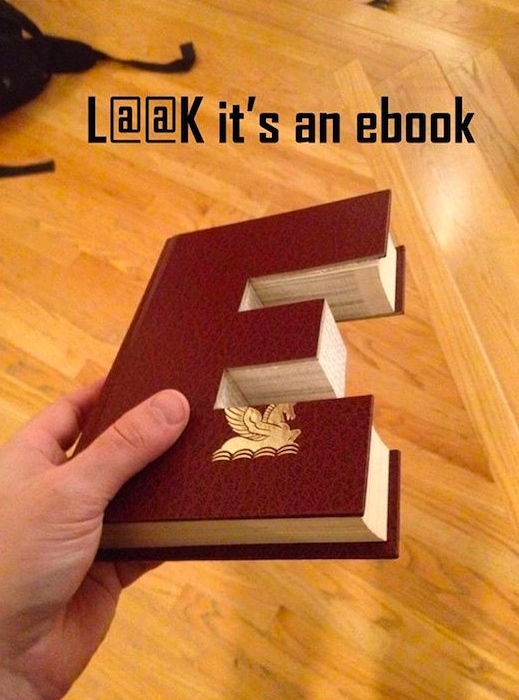 A book in the shape of the letter E, not an electronic book (eBook, e-Book, e-book, ebook). Plus the attention-grabbing L@@K, now used on websites offering things for sale or rental (eBay especially, but also Craigslist, home rental sites, etc.). You are currently browsing the Arnold Zwicky's Blog blog archives for June, 2015.